Professor Pipher received her BSc from the University of Toronto (1962) and her PhD from Cornell University (1971). She joined the University as Instructor in 1971, and was appointed Assistant Professor of Astronomy in 1972, Associate Professor in 1977, Professor of Astronomy in 1983. Since 2002 she has been retired from the teaching faculty. Pipher was the Director of the C.E.K. Mees Observatory from 1979 to 1994. 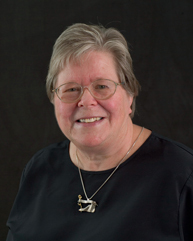 She received the Award for Excellence in Undergraduate Teaching, Department of Physics and Astronomy, University of Rochester (2001), and the Susan B. Anthony Lifetime Achievement Award on her Contribution to Teaching and Research (2002). She has been a Scientific Editor of the Astrophysical Journal since 2002, and now serves on the Board of Trustees of USRA – Universities Space Research Association – since April 2011. Pipher was inducted into the National Women's Hall of Fame in 2007 for her work in infrared detector array development for astronomy. Professor Pipher's primary research is in the area of infrared astronomy and infrared detector array development. With Professor William J. Forrest, she developed over 20 years time ultra-sensitive InSb arrays for the Spitzer Space Telescope infrared array camera, launched in August 2003. Her scientific emphasis both with Spitzer and other observations, has been the study of star forming regions, in particular the spatial configurations of forming stars, and their relationship to their environment. More recently, the group has developed HgCdTe 10 micron cutoff arrays from Teledyne for use in future space experiments, and they are currently beginning technology development on those arrays under NASA Discovery Mission funding of NEOCam, a survey camera to detect near earth objects in the infrared from space. A recent grant has enabled the group to characterize Raytheon long wavelength arrays. In the recent past, the team was successful in obtaining a NYSTAR grant from the state in collaboration with ITT and RIT to help ITT to expand their modular advanced space-borne camera systems capability. More recently, the collaboration has continued with CEIS and NYSG funding, and the group has pursed tracking at infrared wavelengths, as well as analysis of new assessment techniques for infrared arrays. For more information, go to: http://astro.pas.rochester.edu/legacy/.